In a juice filled world it can be challenging to get our kid’s to drink good old-fashioned water. I like to make it fun and have them pick out their favorite fruits to make fruit infused water. They love doing this and love eating the fruit from the water too. I have been feeling under the weather myself lately so anything I can do to hydrate is huge! Fruit infused water is the easiest to make. All you do is fill a pitcher with your favorite fruit, fill the pitcher to top with ice, and add water just until it tips the top. Let the ice and water do the work. 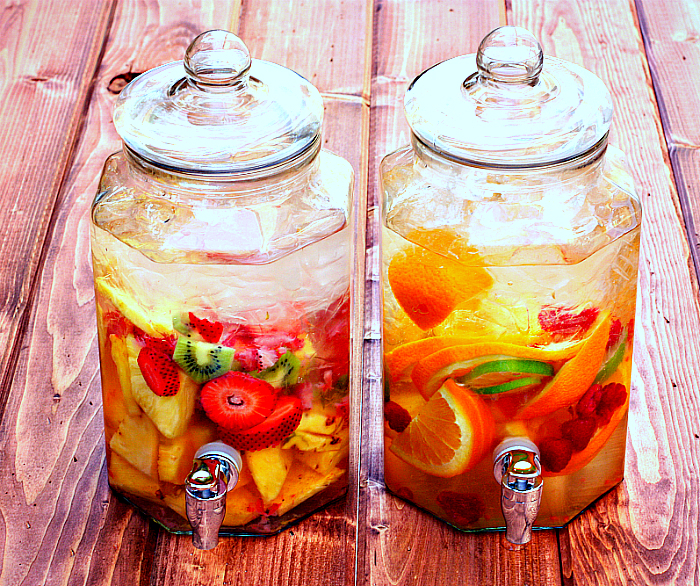 The result is refreshing water with fresh fruit you can eat! This is a must make for the summer!